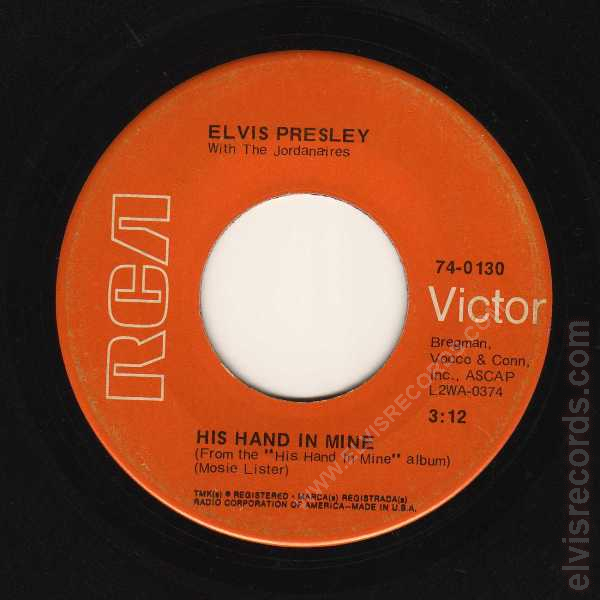 Disc: (3/1969)3 Orange label. 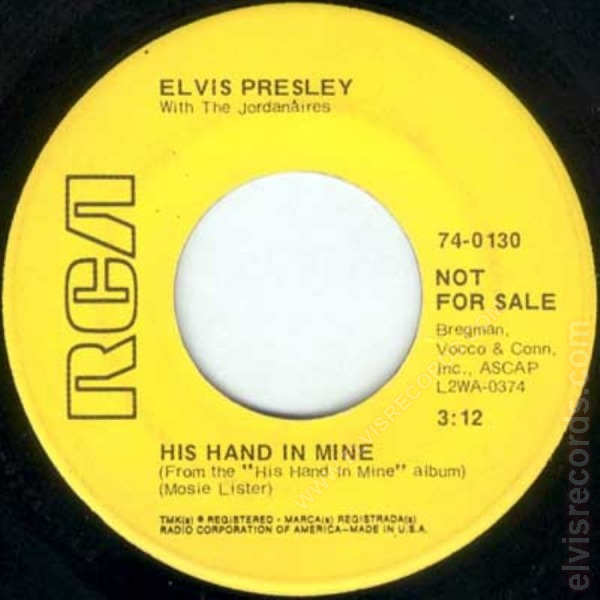 No STEREO on right side of the His Hand In Mine side. 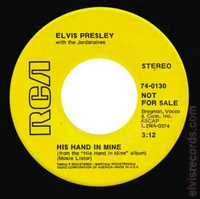 The with and the are capitalized in With The Jordanaires. 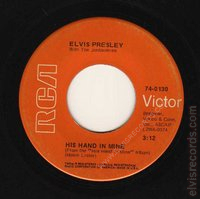 Layout on right side has Inc., ASCAP on line together. 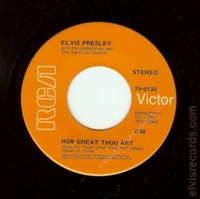 STEREO on left side of the How Great Thou Art side. 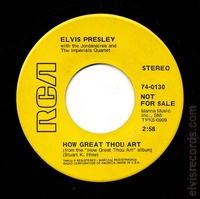 On the How Great Thou Art side, the "and" in the credits is on the same line as The Imperials Quartet. Disc: Orange label. 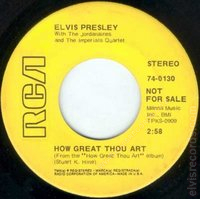 STEREO on right side on both sides. 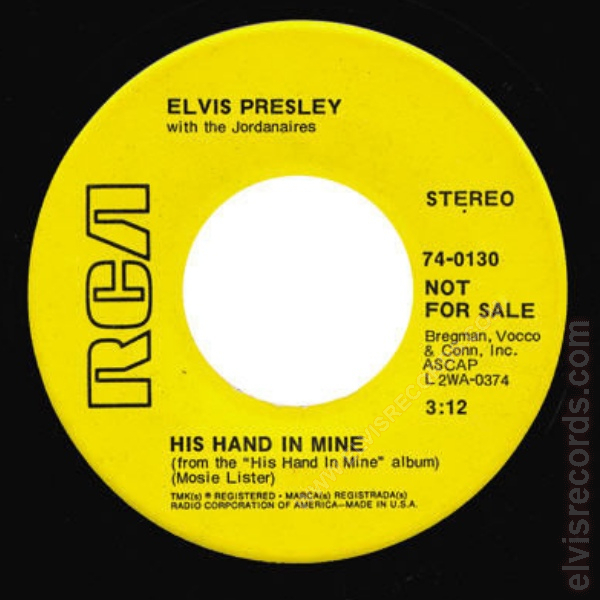 The with and the are not capitalized in with the Jordanaires. Layout on right side has ASCAP on line by itself. 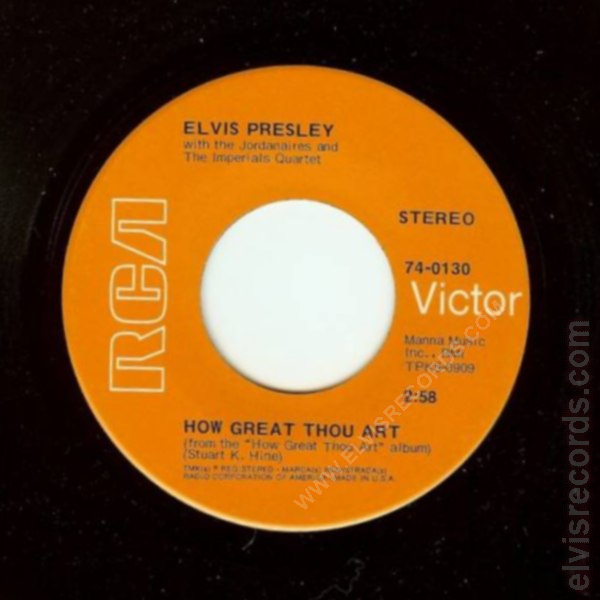 On the How Great Thou Art side, the "and" in the credits is on the same line as with the Jordanaires. 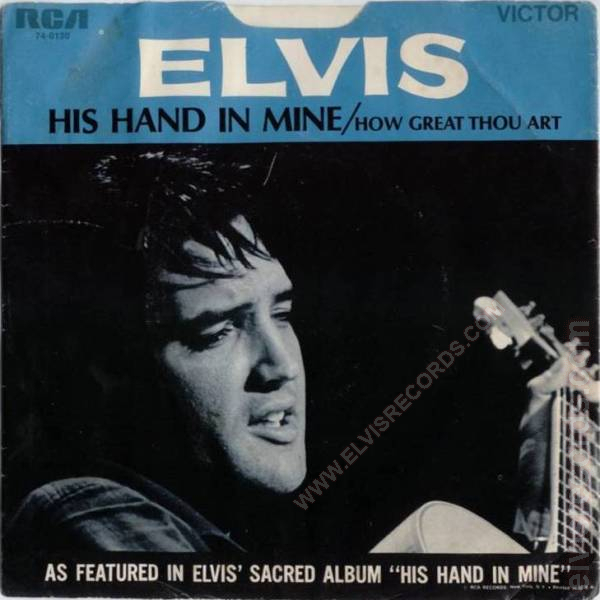 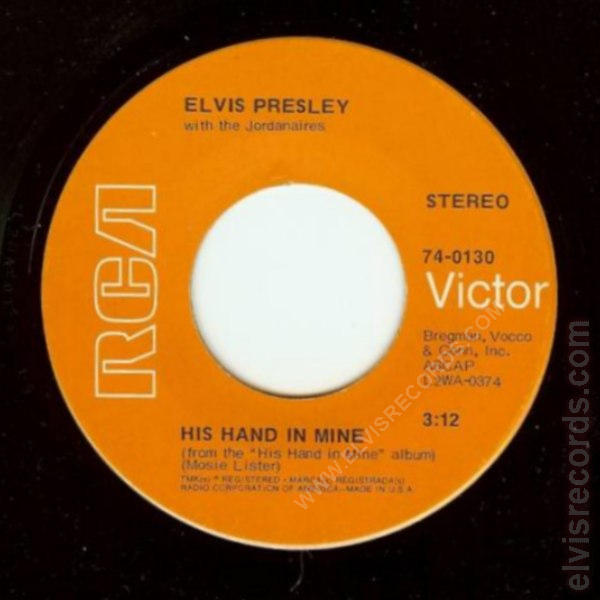 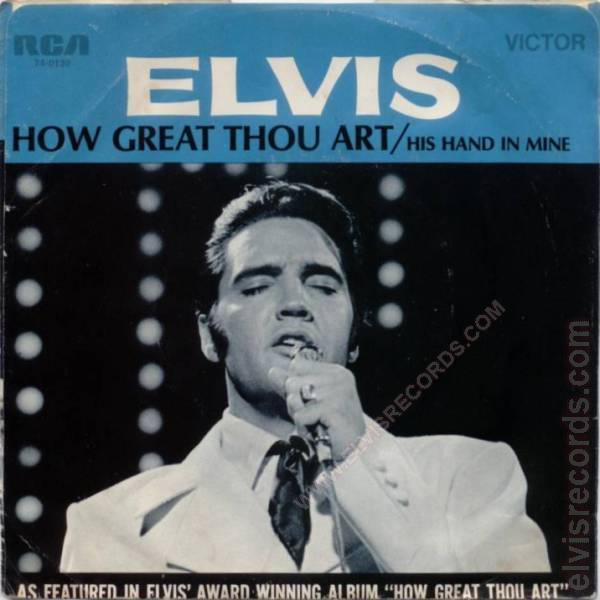 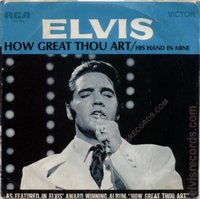 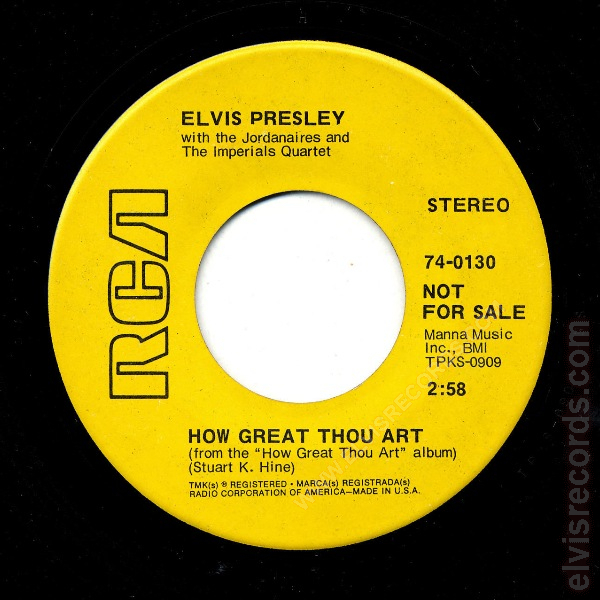 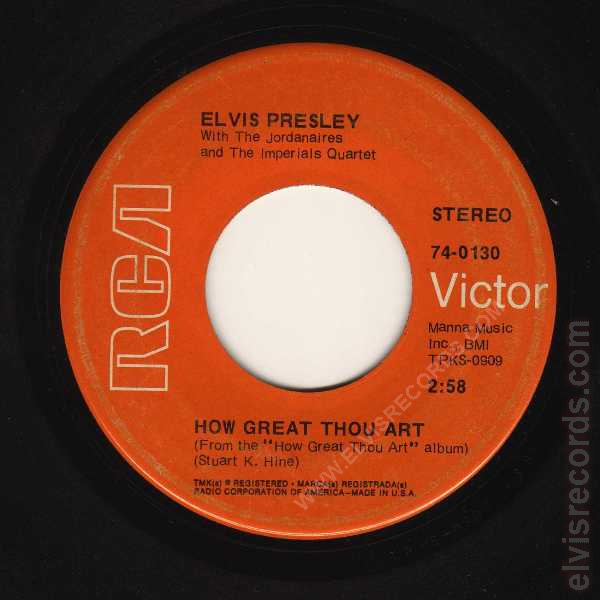 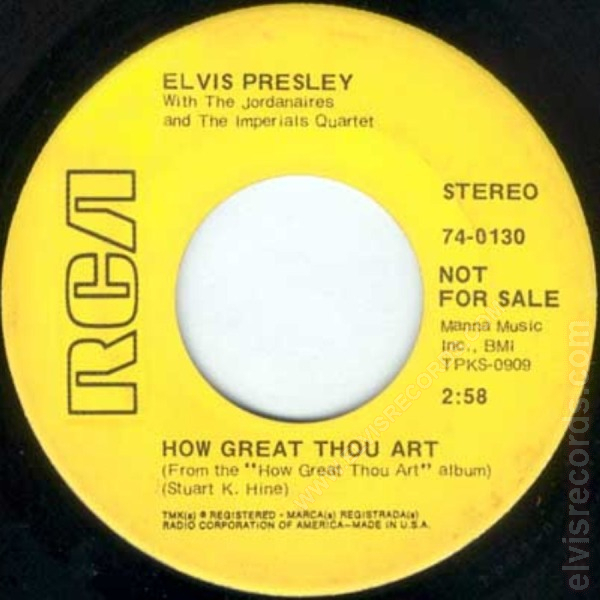 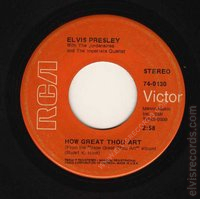 Re-released by RCA Records on 45 RPM as How Great Thou Art / His Hand In Mine on the Gold Standard Series label.